Lenalidomide is a feasible and efficacious option as maintenance therapy for patients with high risk chronic lymphocytic leukemia. To evaluate the lenalidomide as maintenance therapy vs placebo, researchers enrolled 89 patients from 5 countries who had achieved at least a partial response after at least 4 cycles of frontline chemoimmunotherapy. For the phase 3 CLLM1 study (ClinicalTrials.gov Identifier: NCT01556776), patients were classified as having a high risk for progression if they had minimal residual disease (MRD) levels of at least 10-2 or MRD levels of at least 10-4 to less than 10-2 combined with either an unmutated IGHV gene status, del(17p) or TP53 mutation at baseline. Patients had a median Cumulative Illness Rating Scale (CIRS) Score of 2 and 85.2% were male. About 11%, 20%, and 90% of patients had a 17p deletion, a TP53 mutation, and unmutated IGHV gene status at baseline, respectively. Participants were randomly assigned 2:1 to receive lenalidomide maintenance or placebo until disease progression or unacceptable toxicity. Lenalidomide was initiated at 5mg daily and escalated to the target dose of 15 if well-tolerated. After a median follow-up of nearly 18 months, results showed that lenalidomide maintenance was associated with an 80% reduction in the risk of progression or death (hazard ratio, 0.198; 95% CI, 0.083-0.475). Median progression-free survival had not yet been reached in the lenalidomide arm vs 14.6 months in the placebo arm (P = .000059). A total of 17 patients on lenalidomide and 6 on placebo discontinued therapy due to adverse events. 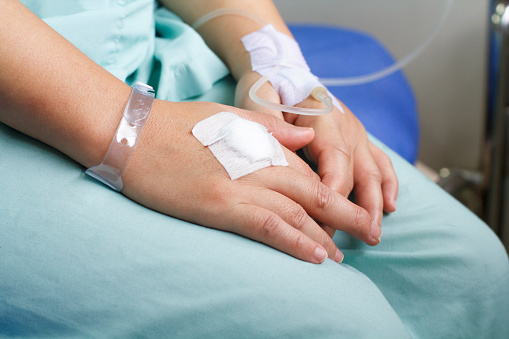 Lenalidomide treatment was more frequently associated with neutropenia, gastrointestinal disorders, nervous system disorders, respiratory disorders, and skin disorders. There was no difference in the incidence of infections or vascular disorders between the 2 arms. Fink AM, Bahlo J, Sandra R, et al. Lenalidomide maintenance after front line therapy substantially prolongs progression free survival in high risk CLL: Interim results of a phase 3 study (CLL M1 study of the German CLL Study Group). Paper presented at: American Society of Hematology (ASH) 58th Annual Meeting & Exposition; December 3-6, 2016; San Diego, CA.